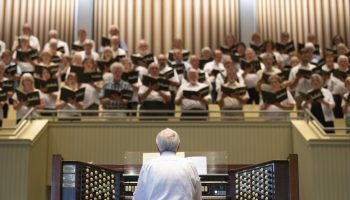 After a difficult goodbye to the Amphitheater last August, Jared Jacobsen said he and the Chautauqua Choir are both excited and nervous to stage their first Sacred Song Service in their new home. At 8 p.m. Sunday in the Amp, Jacobsen and his ensemble will lead the audience through a program titled “In this New Tent,” a twist on last season’s final performance that bid farewell to the 123-year-old Amphitheater. 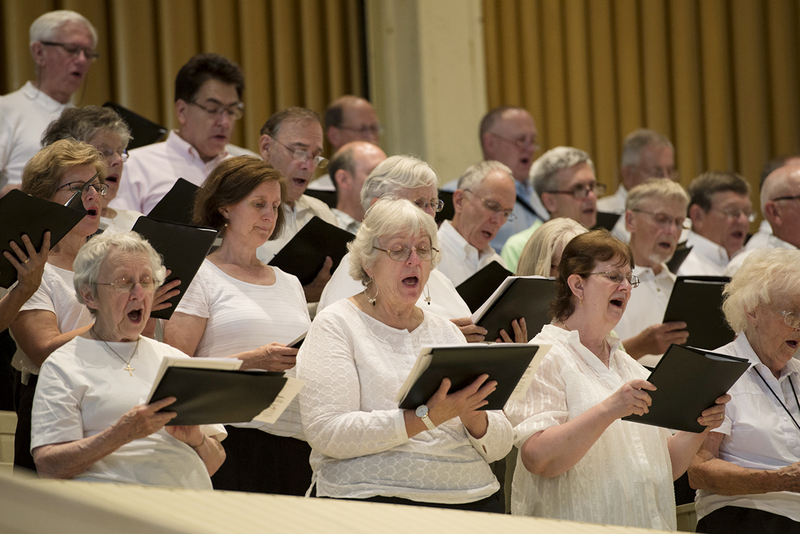 The Sacred Song Service, a hymn festival, will close out the opening day of the season at Chautauqua Institution. 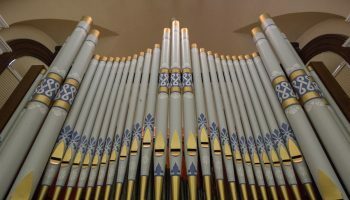 Jacobsen, organist and coordinator of worship and sacred music, said they will play some of Chautauqua’s “greatest hits” to evoke a sense of continuity in an unusual place. Jacobsen said he is feeling the pressure of the first performances in the Amphitheater. “This Sunday has a lot of baggage,” he said, although he is optimistic. 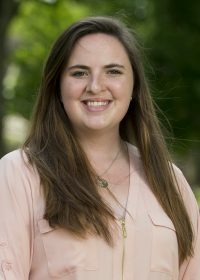 Jacobsen was involved in planning conversations surrounding the new Amp, and was a passionate advocate at every step. For example, he said he “screamed and kicked” to make sure the design of the old roof was maintained as much as possible because it created strong acoustics. Jacobsen said his only clue to the acoustics of the new Amphitheater is the two times he heard construction workers drop boxes of tools inside it, which he said sounded fantastic. He also said he thinks the building was constructed with care. Now, it is Jacobsen and the choir’s job to make sure that magic continues. Jacobsen said he was sad to see the original Amphitheater go, since he first performed in it at the young age of 7. 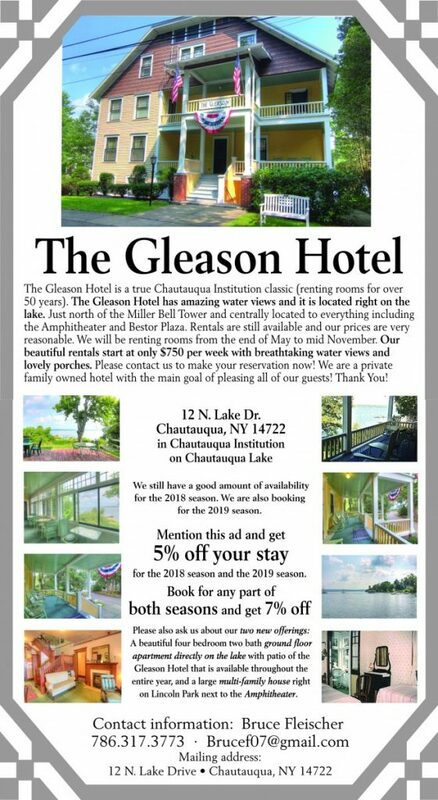 Over the decades, he saw it as a symbol of continuity and stability at Chautauqua, he said, as many others in the community did. Jacobsen recognized, though, that the structure needed serious repairs. He said that while change is difficult, it is sometimes necessary, and thinks the choir and the community will come to embrace the new Amphitheater. 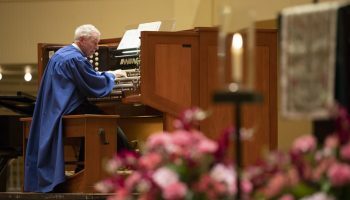 To help ease the transition, Jacobsen said he will stick to the classics and traditions of Sacred Song Services at Chautauqua. 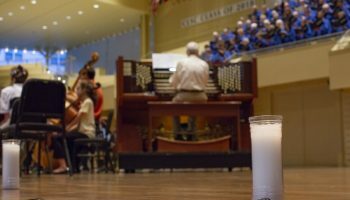 The hymns “Day is Dying in the West” and “Now The Day Is Over,” both crafted for Chautauqua, will set the tone for the evening. 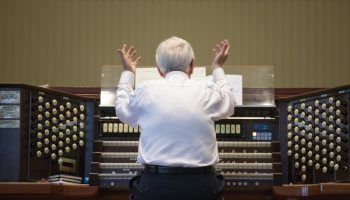 Other classics, including “I Was Glad” and “Steal Away to Jesus,” will be familiar to the choir, which only had two days to practice for the opening service. Jacobsen said that “Largo,” from George Frederick Handel’s opera Xerxes, will be a centerpiece, as it always is. 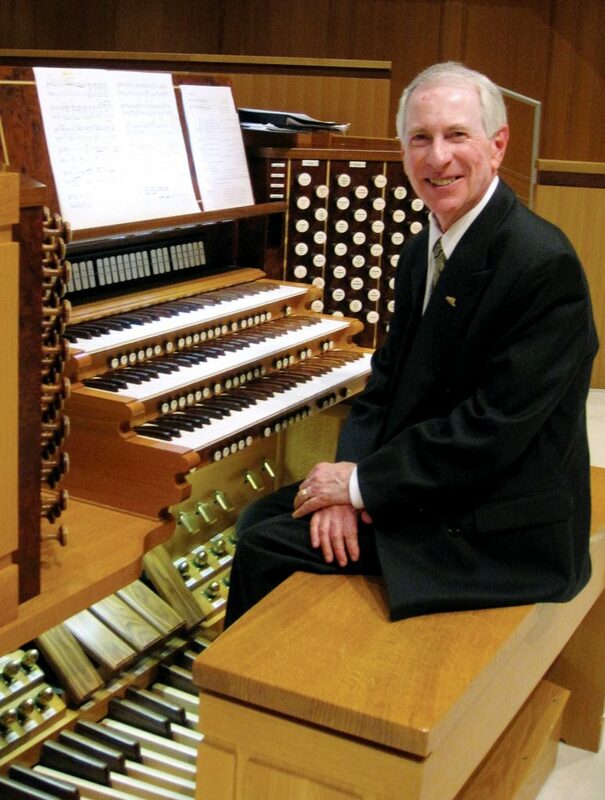 George Wolfe, a saxophonist and Ball State University professor, will accompany the choir and Jacobsen, who will play the Massey Memorial Organ. The choir will also wear their official robes once again, which they could not wear last season due to construction on the Amphitheater and their temporary lodging in trailers. 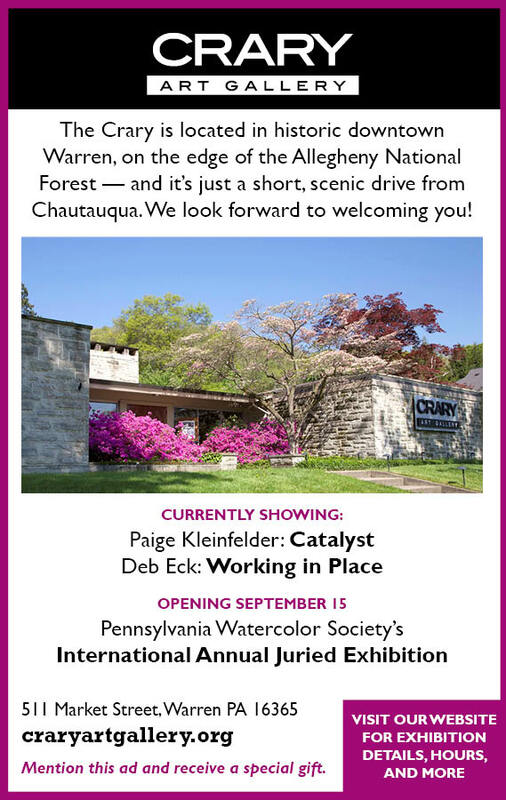 Jacobsen said he thinks this will help to remind the choir and the audience that Chautauqua will always be Chautauqua, despite their fears. “Some (people) will be crying because they miss the old building; some will be weeping, like me, because the new one is so amazing,” Jacobsen said.